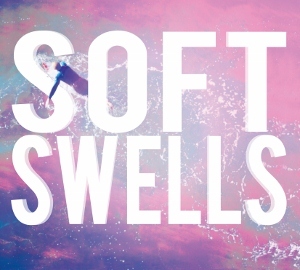 A debut album is rarely greeted with as much anticipation as the self-titled LP from Soft Swells, which drops today. The group released “Every Little Thing” and “Lifeboats” on a 7” last summer, which grabbed airplay on MTV Hive, LA radio stations, KCRW and KROQ, and earned the duo a solid West Coast fan base eager to hear more. “Debut” doesn’t mean that the band is new to the music scene. Soft Swells’ front man, Tim Williams, has two albums under his belt and Matt Welsh (vocals, guitar) earned fans from his time playing with Phonograph. The full-length album is a solid, direct indie-rock album, with light electronic and pop undertones. It is rooted in self-reflection and heavy on the broody desperation of staying in control. Notably so, on tracks like, “Say it Like You Mean it.” “I’m not giving up/I’ll hold you while I can/Losing so much blood will make a stronger man/If that’s alright with you.” “Every Little Thing” is a lighter and uplifting track with “Allow yourself a second chance, more room in the sleeve/Every little thing’s gonna be alright.” “Never Leave Home” features a power pop intro that’s sure to end up on some summer playlists. You can catch Soft Swells tonight in LA at Hotel Cafe for their CD release party and then again on Wednesday at Origami Vinyl. Last week they played at our wildly successful Noise Pop Happy Hour turning the place inside out. We assure you their show is not one to be missed. You can also catch them on the road as they’ll be showcased at this year’s SXSW. Soft Swells – Every Little Thing (official music video) from Modern Outsider on Vimeo.